Marine Grease is an NLGI 2 green coloured, tacky, high temperature multi-purpose lithium complex grease. It contains a special anti-rust additive for enhanced protection against rust and corrosion in marine and saltwater environments. It also contains tackiness additives to allow it to stay in place providing excellent water resistance and shock loading under all operating conditions. 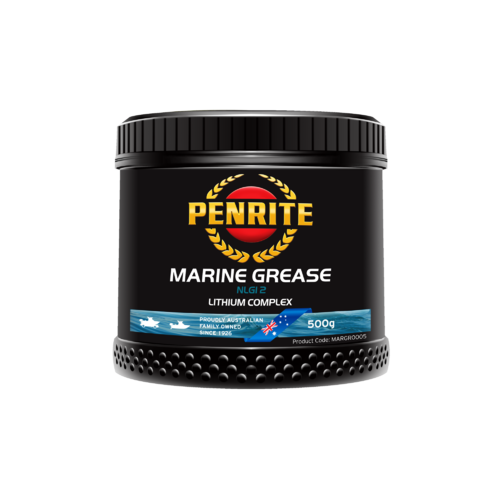 Marine Grease has been formulated to provide outstanding lubrication and protection in marine applications. It is suitable for both leisure craft through to industrial marine fleets. Its applications include winch gears, Stern Drives, prop shaft splines, steering tubes and cables, throttle lines and linkages, dog seals, trunnion steering mounts, shaft support bearings and most other general on-board greasing points. Marine Grease is an excellent water resistant grease for use on motorcycles, Quad Bikes and ATV' for both on and off-road use. It can be used on the front and rear wheel axles, front fork steering bearings and as a protectant against rust and corrosion in areas prone to retaining dirt and water. Marine Grease is also suitable for other automotive and industrial applications requiring excellent rust and corrosion protection. These include rolling element bearings, plain bearings, chassis parts, gears and couplings, particularly where water is present such as in steel mills, underground tunnelling or mining and ore crushing plants. 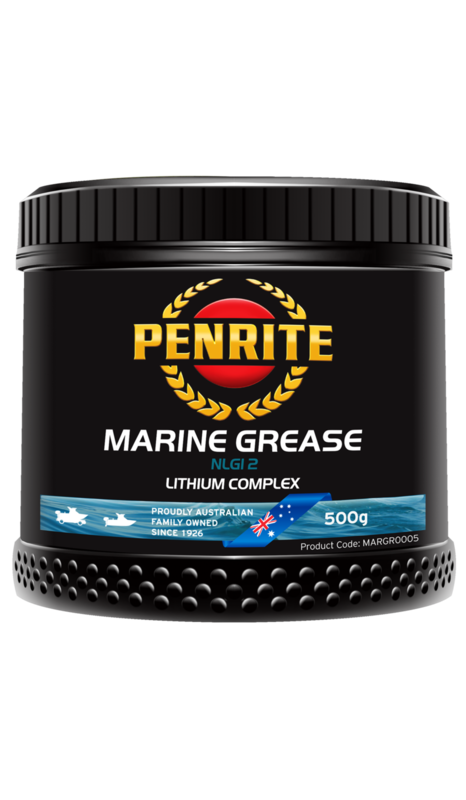 Penrite Oil Company is an Australian independent international lubricants company established in 1926. A premium, high quality and trusted brand that manufactures the right product for every application. Known as “A Better Class of Oil”, Penrite is voted Number 1 by independent mechanics and major customers as a supplier of choice.